RewardExpert compared current exchange rates to exchange rates as of summer 2017 to determine in which countries your dollar has become more valuable, and in which countries it has become less valuable. Local prices of goods and services were included in order to determine which destinations are, on the whole, the most affordable. Everything is relative in matters of money. Currency can increase or decrease in value due to any number of factors, from supply and demand and the banking system, to political events and beyond. Nowhere can we see the relativity of currency better than in exchange rates between currencies, which are notoriously subject to short-term fluctuations and long-term trends. In order to get the most bang for your buck while spending it abroad, it is essential to keep tabs on the exchange rates between the U.S. dollar and foreign currencies. If the dollar increases in value in a certain country that you’ve been dying to visit, it’d be a good idea to book your flight while your dollar will buy you more. Unless, of course, there’s a clear and persistent trend, such that you’d be willing to literally wager that it’ll be worth even more later. Conversely, you might want to take a pass on countries where the dollar is weak, and either move on to greener pastures, or bide your time. RewardExpert looked at twenty countries around the world, all potential summer vacation destinations. Ten are countries where your dollar is increasing in value, and another ten are countries where it’s becoming less valuable. By comparing current exchange rates to exchange rates from one year ago, we determined how much each country’s currency has gained or lost value against the U.S. dollar. For each country, we also calculated estimated round-trip airfares, as well as a total dollar value for a representative sample of routine daily expenses. Countries first appear ranked according to their year-over-year increase or decrease of currency value relative to the U.S. dollar, and then according to their overall affordability based upon a combination of the following factors: daily expenses, length of stay, and, of course, currency value relative to the almighty dollar. Overall affordability is largely independent of exchange rate fluctuations and trends. You will find some of the cheapest prices in countries such as Nepal, Sri Lanka, and Indonesia, as their currencies lose value against the U.S. dollar. At the same time, you will see comparable, albeit slightly higher prices in Thailand, in spite of the fact that the Baht has increased by 5.85% in value relative to the dollar since last year. The length of your stay is the factor that most impacts the relative affordability of destination countries. Many countries with the most inexpensive goods and services are quite far from the U.S. and quite costly to travel to and return home from. 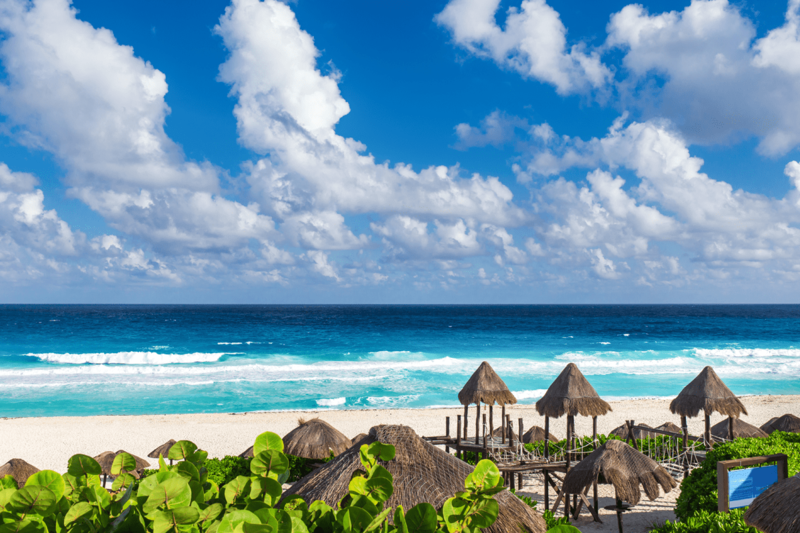 Over a long enough vacation you’ll recoup the cost of airfare. 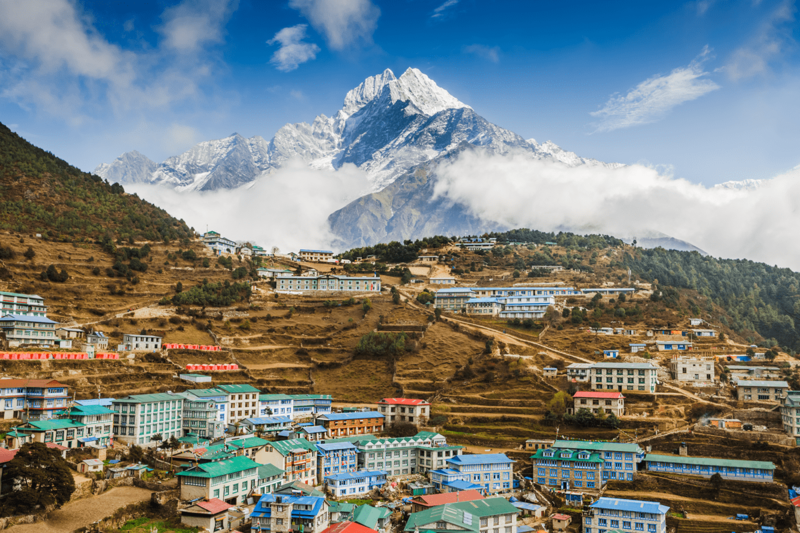 If, on the other hand, you can’t spend a month vacationing in an inexpensive South Asian country, it makes more sense to go with a less remote destination with higher prices. Overall, the dollar has performed poorly over the course of the past year. There are strong indications that this is due to the policies and unpredictability of the executive branch of the U.S. government, more than anything else. Only in countries with marked political and/or economic uncertainties has the dollar done well. 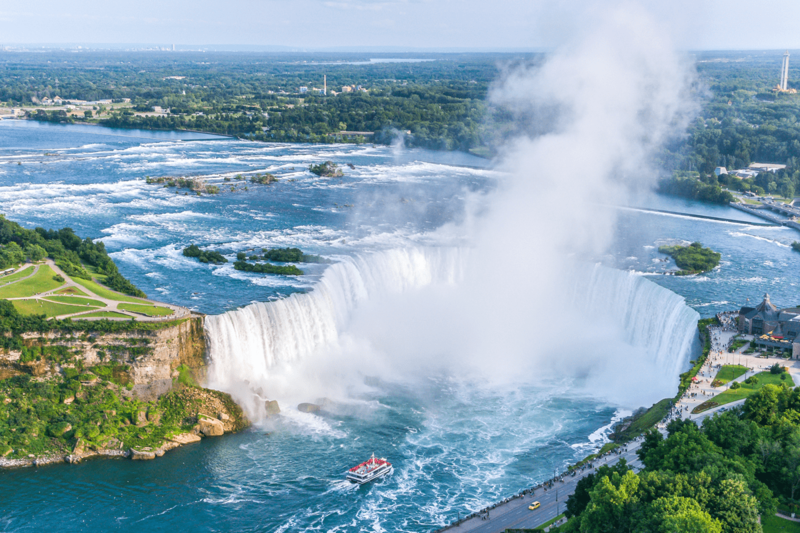 This ranking represents the ten countries in which the U.S. dollar has gained significant value over the last year, including a breakdown of average expenses travelers may encounter in each country. 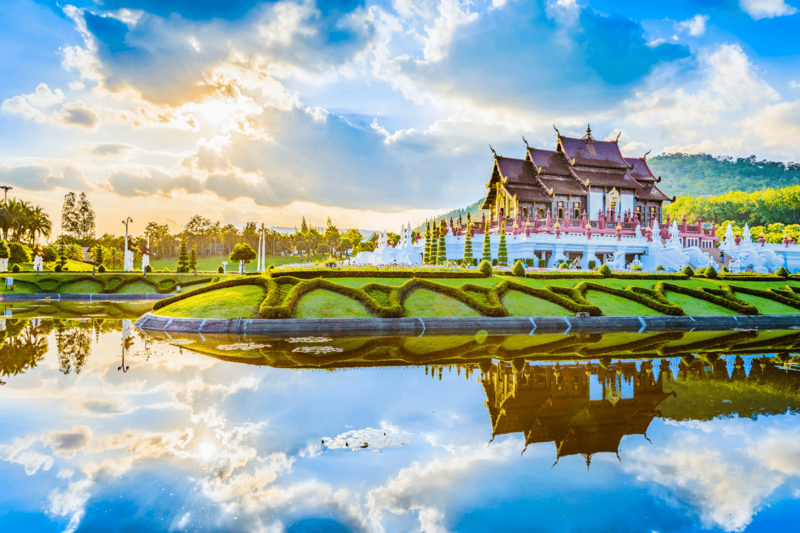 Some of these countries may not be among the most affordable in comparison to others in our analysis, however if these destinations are on your bucket list, consider visiting this summer, given the increased value you’ll be getting for your money. Expenses listed reflect the total of available local prices for goods and services in each of the following categories: restaurants, grocery markets, transportation, sports and leisure, and clothing and shoes. These are not intended to reflect expected daily expenses for a tourist, but rather, for purposes of comparing prices in each category from one country to another. Price data has been converted from local currency to U.S. dollars according to current exchange rates. In the last year, no currency has devalued more than the Turkish Lira. The U.S. dollar is worth 28.39 percent more this year than it was last year, in part due to the still-ongoing aftermath of the attempted coup during summer 2016 and uncertainty in the region surrounding still war-torn Syria. As a result, the prices of common tourist expenses, such as dining, transportation, and for the travel-savvy, the price of the ticket for your flight home, are lower than ever. These numbers represent a total sum of various costs that fall under these categories. Check out the full table to see the individual average costs per item. 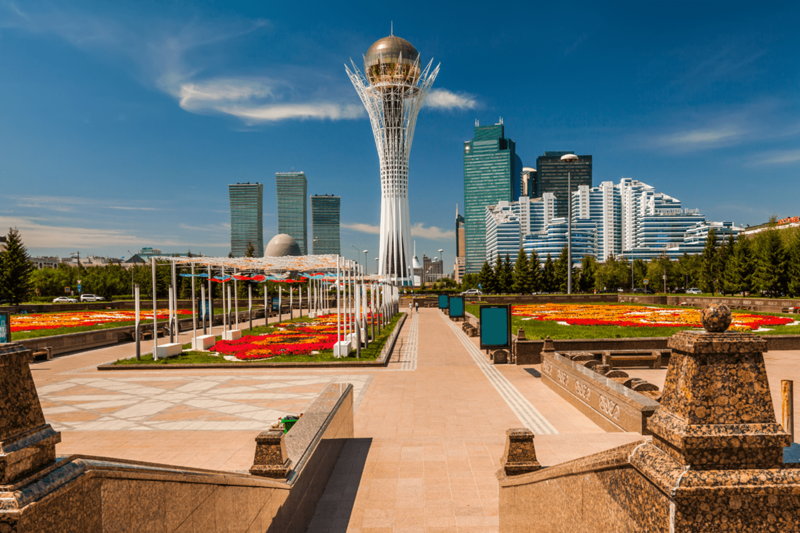 The central Asian nation of Kazakhstan might fly a bit under the radar when considering potential countries for a visit or a vacation, but if you want to go off the beaten track this summer, you might want to add it to your list. With its varied terrain, ranging from desert to endless steppes and the coast of the Caspian Sea, Kazakhstan has appeared on the radar as a tourist destination on the rise. The value of the dollar has skyrocketed in this nation, from which the first man was launched into space, resulting in a very favorable exchange rate against the Tenge. In fact, you can still, to this day, watch Russian spacecraft blast off from facilities on lands leased from the Kazakh government. The dollar saw its fifth greatest increase in value against the Indonesian Rupiah, and is worth 4.54 percent more in 2018 than it was in 2017. This comes despite strong economic fundamentals in Indonesia, and has led to a central bank intervention to raise interest rates in this archipelago nation. 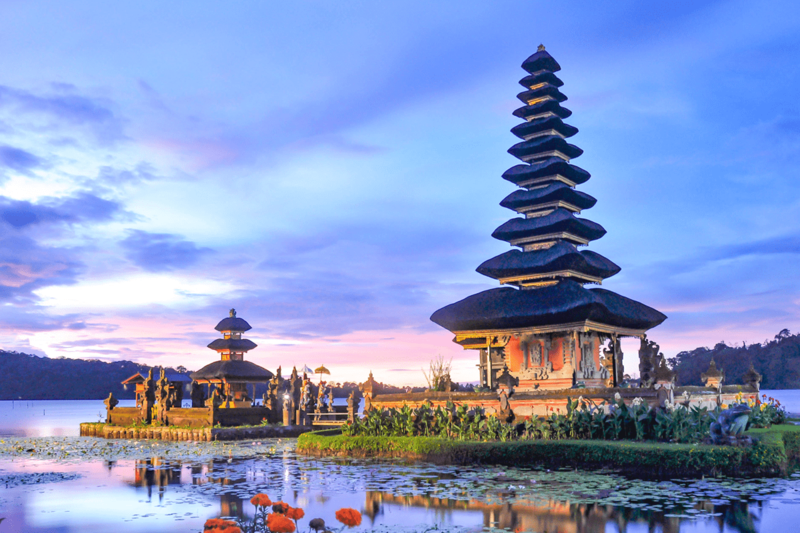 While grocery and commodity costs are modestly higher than in Nepal, other costs are comparable, but only in Indonesia can you experience Balinese theatre at an exchange rate mediated discount. The Sri Lankan Rupee lost ground to the dollar over the last year, with the dollar worth 3.57 percent more this year. In the aftermath of the defeat at the polls in February 2018 of two member parties of the governing coalition, traders have bought up dollars by the fistfull, devaluing the Sri Lanka Rupee and making prices this summer too low to resist. Like Nepal and Indonesia, the prices of meals, commodities, and especially getting around, are already quite low. 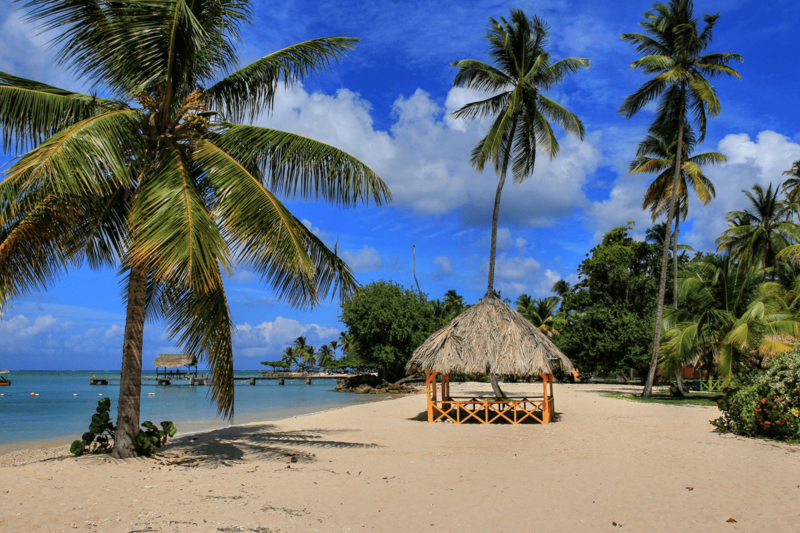 The dollar has increased in value against the Franc by 1.65 percent over the course of the last year, making it a good time to seize the opportunity to visit this otherwise costly destination. While day-to-day expenses are naturally higher in the Alps than in the Himalayas, it is considerably cheaper and easier to reach a European destination like Switzerland, particularly from the American east coast. This makes shorter vacations relatively more affordable if you keep your shopping in check—especially when it comes to clothing and shoes, which are unusually expensive here. 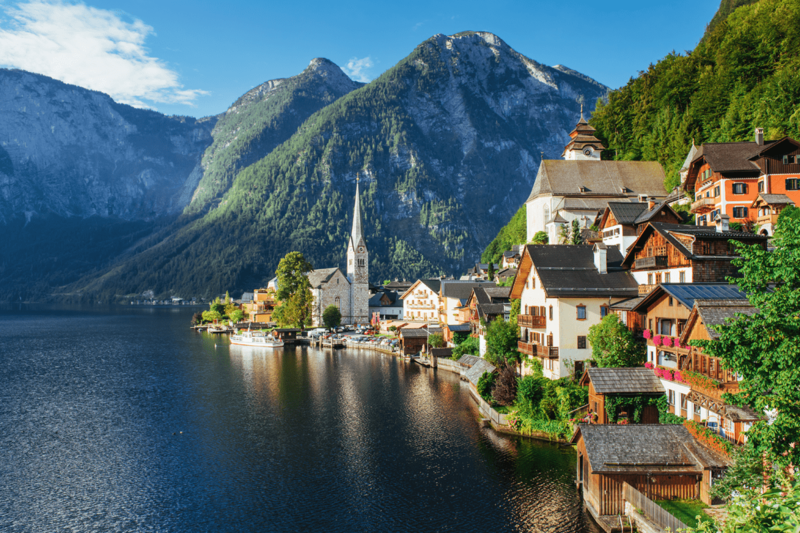 Switzerland is the only nation that is entirely in Europe where the dollar has strengthened this year, so if a European getaway is your game, Switzerland is certainly in play. New Zealand is a popular choice for those seeking a picturesque vacation. 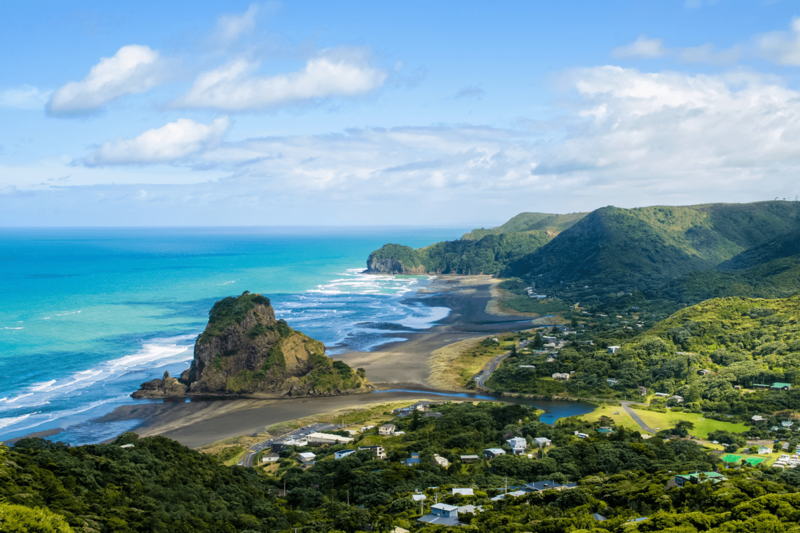 Geographically quite distant, but culturally and linguistically close to home, with the U.S. dollar worth 1.32 percent more this year, it might be worth considering a visit to New Zealand—if your wallet won’t stop you. Changes on this scale amount to the exchange rate holding steady against the U.S. dollar, however, it will still result in your money going further this year, as you help stimulate the Kiwi economy. At any rate, the strength of the dollar here makes local prices lower than neighboring Australia. 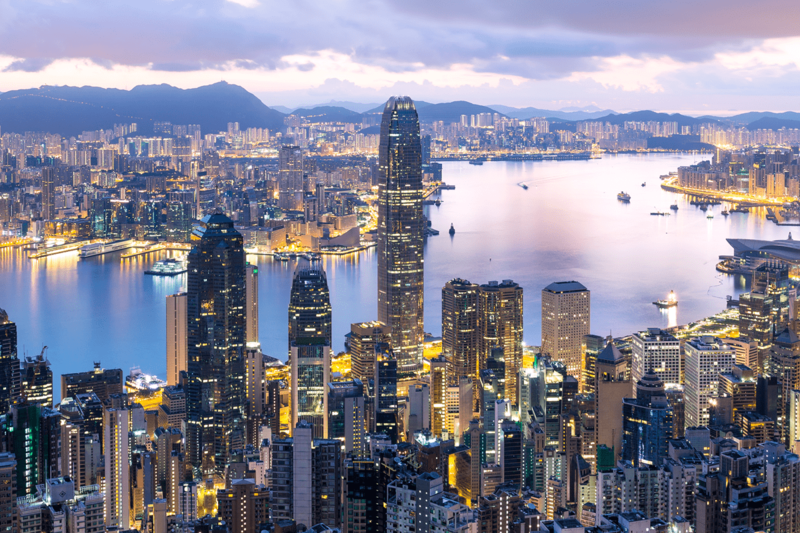 The exchange rate between the U.S. dollar and the Hong Kong dollar has changed little in the course of the past year, but the U.S. dollar has nevertheless gained ground by 0.66 percent. The Hong Kong dollar is at its weakest in 30 years, against virtually all currencies, and that includes the U.S. dollar. This summer may be the ideal time to visit, if the thought has ever crossed your mind. Prices of most routine expenses here are lower than in Western Europe and a bit higher than in Australia and New Zealand. 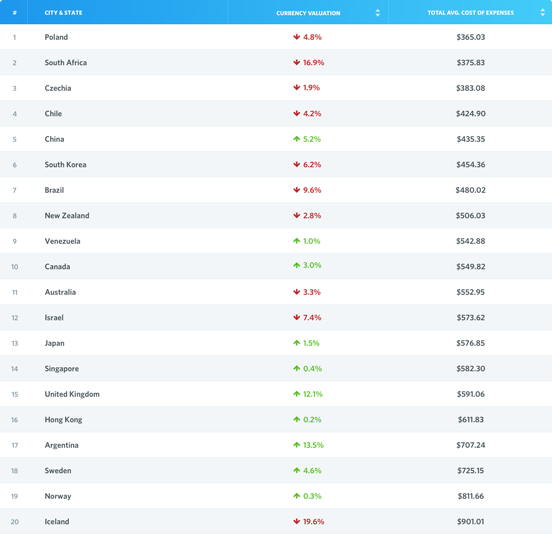 This ranking represents the ten countries in which the U.S. dollar has lost significant value over the last year, including a breakdown of average expenses travelers may encounter in each country. 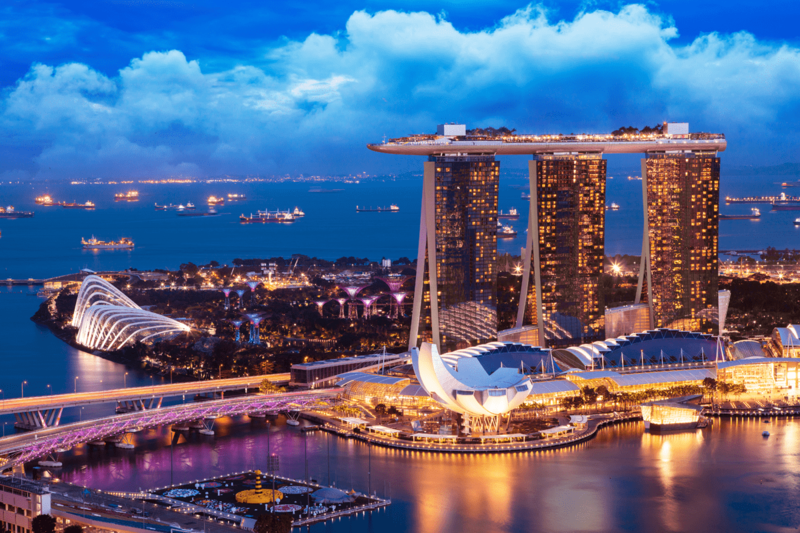 Some of these countries may still be among the most affordable out of the twenty countries we examined, however they could become even more affordable if you wait for the exchange rate to become more favorable. Since 2017, the dollar has weakened against the Croatian Kuna—in part due to its proximity to E.U. markets and its independent currency, and in part due to issues on the American end of the equation—and is now worth 4.16 percent less than it was last year. While round-trip airfare to Eastern Europe, which has grown in popularity among international tourists in recent years, can be less expensive than to the Eurozone, this is not true of Croatia. 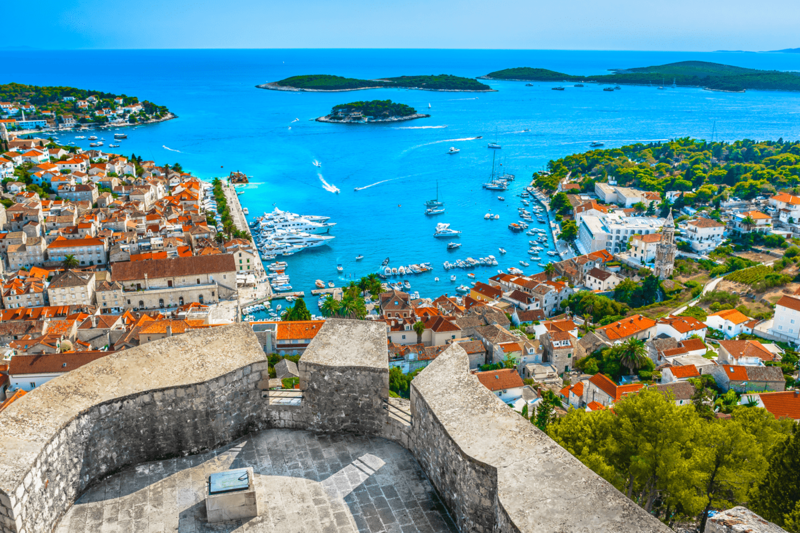 In addition to higher ticket prices than neighboring nations, prices are higher in Croatia—at both this and last years’ exchange rates—than in other Eastern European destinations, such has Bulgaria and Romania. The U.S. dollar has lost ground to the Canadian dollar, declining in value by 3.96 percent, as markets respond to uncertainties consequent to the U.S. political situation. Under the leadership of Justin Trudeau, our northern neighbor is seen as a more reliable trade partner, and at very least, a more predictable one, leading to appreciation in the Canadian dollar. 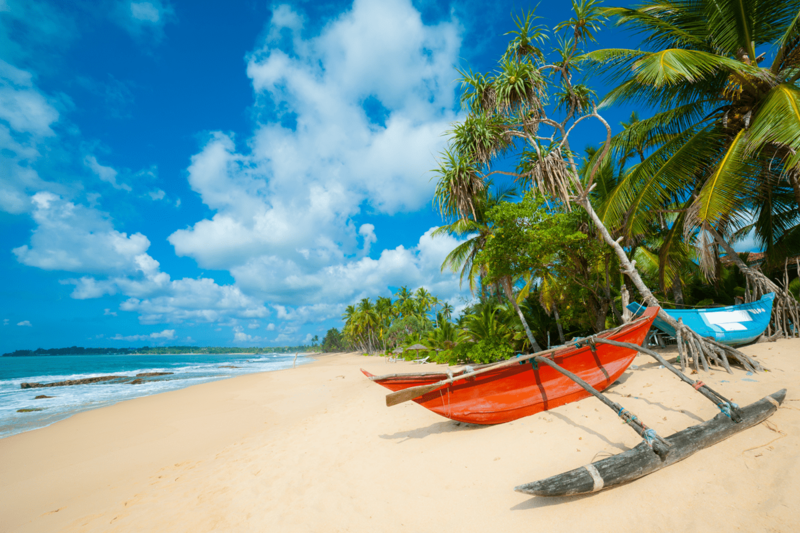 Expenses can start to add up on longer visits, however, for shorter vacations, even with a weak dollar, it can make as much sense to visit our northerly neighbor as our southern one. Nevertheless, this year may not be the year to visit,unless you happen to live close to the border. 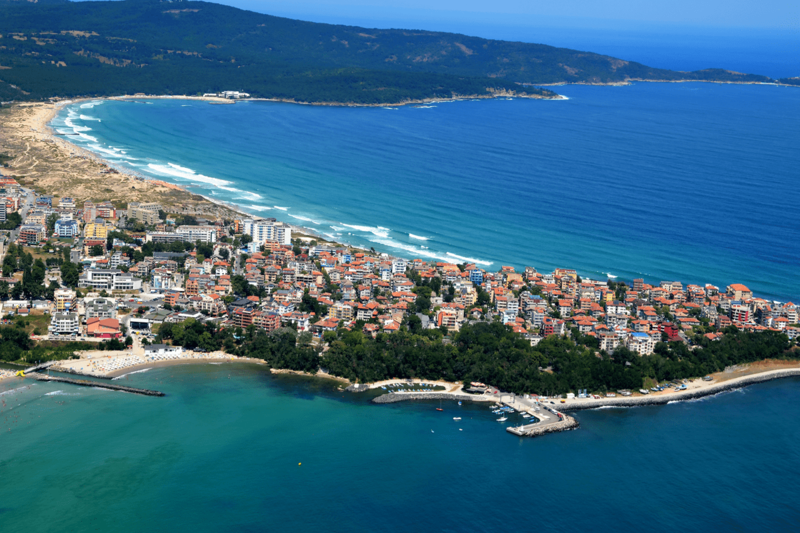 The exchange rate between the dollar and the Bulgarian Lev has worsened by 3.81 percent from 2017 to 2018, making an otherwise quite affordable European vacation destination less attractive this year. As with many other nations, relatively stable internal politics and economic policy, combined with a fickle U.S. leadership, has led to appreciation in local currency values against the dollar. While airfare is cheaper than elsewhere in Europe, and commodity prices remain low, this year might be one to take a pass on Bulgaria due to the weakness of the dollar. Another year, the same price might fetch a more luxurious getaway. In spite of dissention within its ranks, economic troubles in the southern Eurozone, and the uncertain future of a post-Brexit European Union, the Euro performed strongly against the dollar in the last year, with the dollar losing 3.76 percent of its value in Euros. Nevertheless, ease of access, reasonable airfares, and relatively modest costs of goods, services, and meals, leaves the nations of the European Union an affordable option for budget-conscious travelers planning relatively brief visits. 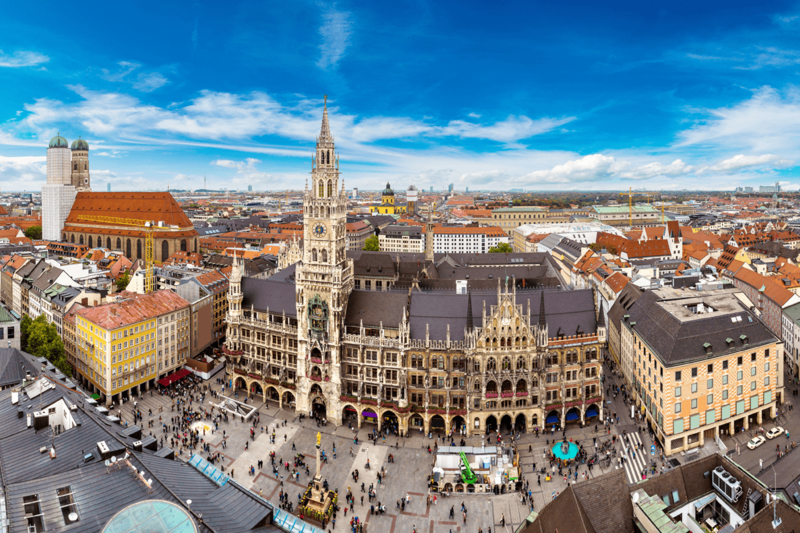 * Figures cited for airfare and prices reflect prices in Germany, at the heart of the E.U. Prices vary considerably from country to country across the Eurozone. 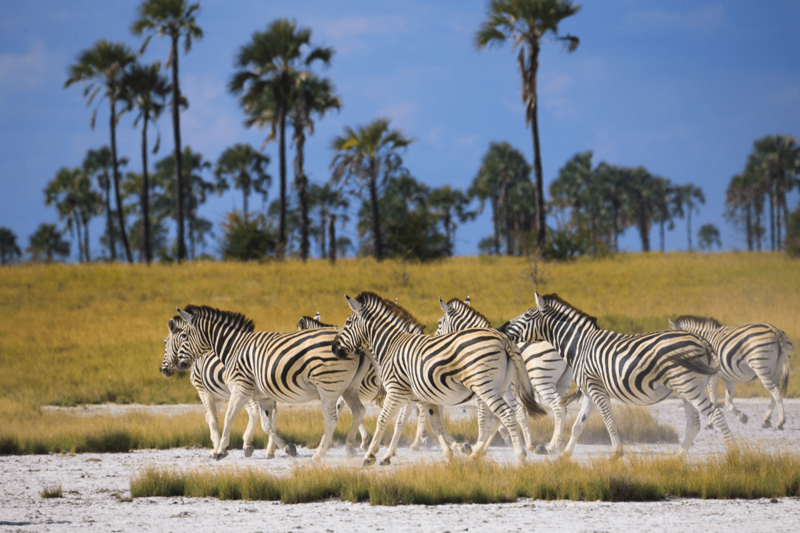 While estimated daily expenses for vacationers in the landlocked African nation of Botswana are lower than many possible destinations, they are not so low as to make it a particularly affordable country to visit this year. Prices will be higher than they were last year, due to the dollar’s loss of 3.73 percent of its value to the Pula. Accounting for exchange rate fluctuations, the prices of most goods and services in Botswana are comparable to Romanian prices, but with estimated round-trip airfares coming out to nearly twice as much, Botswana ranks 19th out of 20 in overall affordability, as compared to Romania’s 11th place showing. 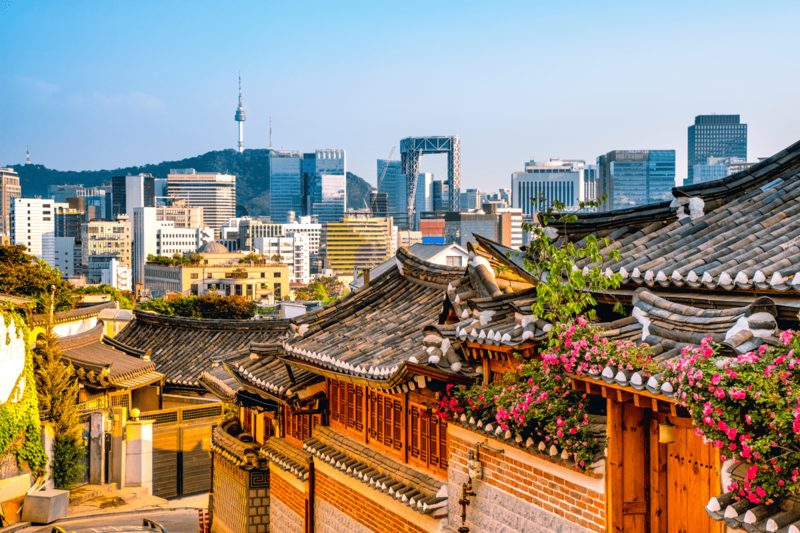 Despite the dollar’s loss of 3.55 percent of its value against the South Korean Won, possibly in anticipation of a future including more protectionist trade policies on the part of the U.S., prices of key goods and services and estimated airfares remain low enough to keep South Korea on your list. That is, at least if a long flight and the chance of a more favorable exchange rate in the future aren’t enough to deter you, which should certainly be enough to make you think twice. Like other highly developed, affluent destinations, affordability declines sharply with increased discretionary spending, and even more so at this year’s exchange rate. The dollar’s decline against the Romanian New Leu over the last year was significantly less dramatic than it was for the previous eight currencies: the dollar is worth only 1.82 percent less today than it was last year. Day-to-day expenses in Romania remain low, and, on the whole, prices of various goods and services are comparable to those found in Bulgaria, and are especially low for getting around. 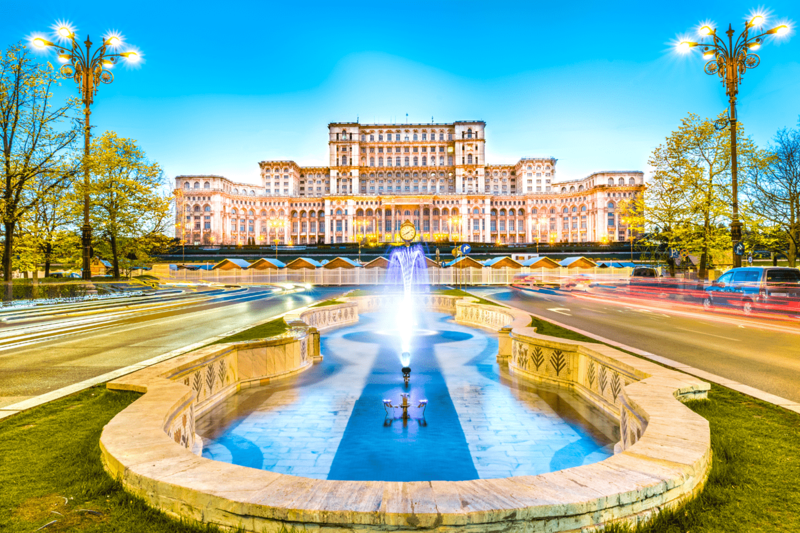 With cheaper airfare between the U.S. and Romania, Romania remains in the running for an Eastern European vacation and wins out over both Bulgaria and Croatia in our overall affordability ranking. Nevertheless, with all three of these countries it’s best to bide your time for a better bang for your American buck. 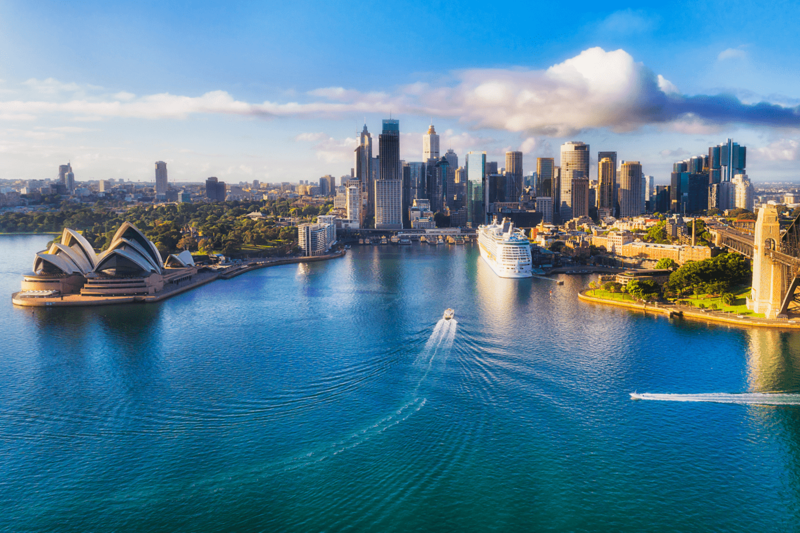 The past year has seen the value of the U.S. Dollar go down in the land down under, declining against the Australian dollar by 1.79 percent since last summer. Like the U.S. dollar, the Aussie dollar is a widely held and traded reserve currency, and the relatively weakness of the U.S. dollar is likely due to investors switching to Aussie dollar denominated holdings. With typical prices of key goods and services significantly higher than those seen in Western Europe and much of the developed world, and a long, expensive flight between the U.S. and Australia, take a pass on the Outback and consider New Zealand this summer instead. Countries are ranked in the table below according to a representative sample of daily expenses likely to be incurred by a tourist, including the total costs of a restaurant meal, drinks, and transportation. Price data has been converted from local currency to U.S. dollars according to current exchange rates. Wherever you’re traveling, and whatever your budget, having the right travel credit card in your wallet can be tremendously convenient. More than that, many cards can make vacationing more affordable because of their generous rewards and more comfortable with their great perks. 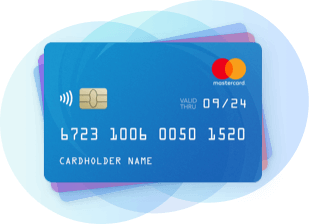 The Capital One Venture is a great travel card for beginners and advanced travel hackers alike. That’s because of its simplicity. You can use the rewards you earn to buy any travel from any vendor. You aren’t tied down to a single airline or specific travel partners. It also has a very straightforward and rewarding earning structure. You’ll get 2 miles for every dollar you spend. That’s it. No special bonus categories or anything else to worry about. When you sign up for the card, you’ll get a bonus worth $500 worth of travel, too! That’ll get you started on your next trip. If you travel often and want to make the journey more comfortable, you’ll get a lot out of a premium travel card. They might have big annual fees, but if you use all the benefits that come with these cards, they more then pay for themselves. There are a number of premium cards on the market, but the original — the Platinum card from American Express — is still the best. Your time in the airport will be a lot more comfortable thanks to complimentary lounge access, including the swanky Centurion Lounge network, that comes with this card. And your time in the air will be better too, since you can use an annual $200 airline fee credit to pay for in-flight food, beverages and entertainment, in addition to upgrades, bag fees and more. There’s a lot more, including an annual $200 Uber credit, reimbursement for Global Entry or TSA PreCheck, complimentary elite status with a variety of hotels and car rental agencies, and free perks through the Fine Hotels & Resorts program. If you don’t travel that often, or if you’d just rather get your rewards as cash, there are a number of great cashback cards that don’t charge foreign transaction fees. That means you can use these cards while traveling anywhere and cash back without incurring any extra charges. The Quicksilver card is a solid choice offering a $200 sign-up bonus and 1.5% cash back on all purchases. There are no annual fees and no foreign transaction fees. And since this card is issued as a Visa Signature, you’ll get some nice added perks for free, like car rental insurance, lost luggage reimbursement and more. Flight prices were calculated by multiplying the mileage from New York City to the country's capital by Kiwi.com's flight price index value for the price per 100 kilometers for both outbound and return flights. Outbound airfare estimates were calculated according to U.S. prices in U.S. dollars, while return flight airfare estimates were calculated based upon the country’s average price figure, taking exchange rates into account. These are estimates and will almost certainly differ from actual ticket prices. Exchange rates as of May 31, 2018, were compared to rates on the same day of 2017 to determine countries with currencies that have significantly gained or lost value against the dollar over the course of the past year. We selected ten out of the twenty countries with the greatest currency exchange rate gains against the dollar, and likewise, ten out of the twenty where the local currency lost the most value relative to the dollar. We then incorporated crowdsourced figures detailing the average prices of various goods and services in each country and used the combined cost of selected daily expenses, such as meals, beverages, and transportation, to arrive at figure representative of overall daily expenses in each country.